USCIS: An abbreviation for U.S. Citizenship and Immigration Services, a part of the Department of Homeland Security. Underrepresented Countries, Natives of: The Immigration Amendments of 1988, Public Law 101-658 (Act of 11/5/88) allowed for 10,000 visas to be issued to natives of underrepresented countries in each of fiscal years 1990 and 1991. Under-represented countries are defined as countries that received less than 25 percent of the maximum allowed under the country limitations (20,000 for independent countries and 5,000 for dependencies) in fiscal year 1988. United States - Canada Free-Trade Agreement: Public Law 100-449 (Act of 9/28/88) established a special, reciprocal trading relationship between the United States and Canada. 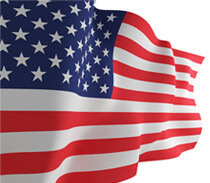 It provided two new classes of nonimmigrant admission for temporary visitors to the United States-Canadian citizen business persons and their spouses and unmarried minor children. Entry is facilitated for visitors seeking classification as visitors for business, treaty traders or investors, intracompany transferees, or other business people engaging in activities at a professional level. Such visitors are not required to obtain nonimmigrant visas, prior petitions, labor certifications, or prior approval but must satisfy the inspecting officer they are seeking entry to engage in activities at a professional level and that they are so qualified. The United States-Canada Free-Trade Agreement was superseded by the North American Free-Trade Agreement (NAFTA) as of 1/1/94.